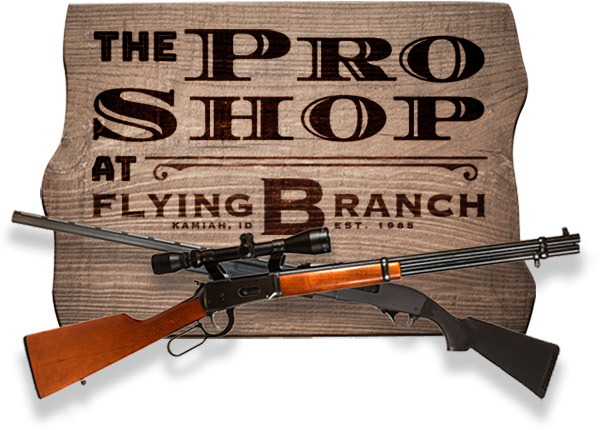 The Flying B Ranch offers traditional spot and stalk hunts for Whitetail deer October 10th through December 1st. You can spend 5 days and 6 nights at our cozy 14,000 square-foot lodge or our private ranch house. Lawyer’s Canyon's steep draws, meadows and rock bluffs provide great habitat for the whitetails. 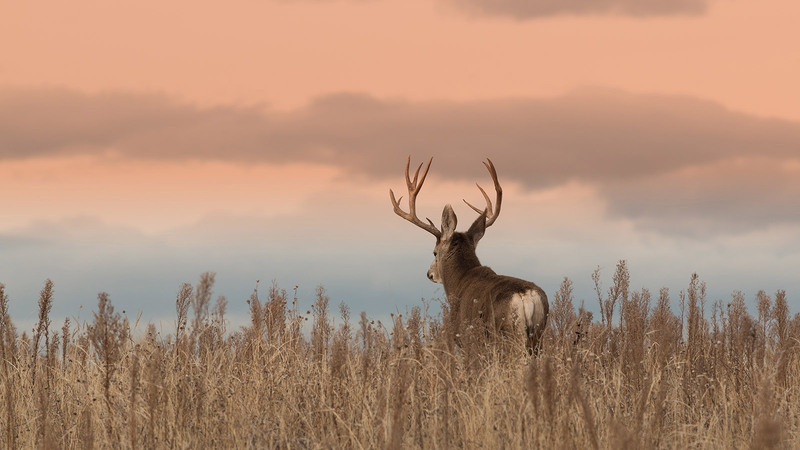 Most of the ranch contains great access to reach high vantage points, maximizing the opportunity to find trophy bucks. These hunts have maintained a nearly 100% success rate thanks to responsible harvest and our experienced guide staff. These hunts are available at $5,000 for 2:1 guiding or $7,000 for 1:1 guiding. As with all activities at Flying B Ranch, youth whitetail hunts are 1/2 price with an adult. If you harvest a whitetail early, there is an opporunity to go for a second whitetail on the national forest for an additional trophy fee. Also if resources are available, we can look to Steelhead fish or do some wingshooting. 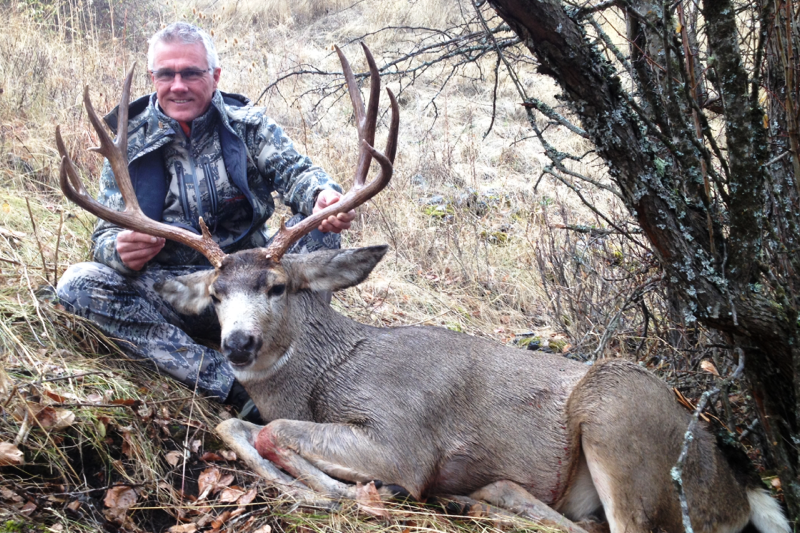 Flying B Ranch also offers the opportunity for a trophy mule deer. These 5 day/ 6 night hunts are very successful with a near 100% success rate. The traditional spot and stalk method is very successful and you can expect to see numerous bucks each day. Rifle hunts are October 10th through November 3rd and are $8,000. With only 1-2 rifle season tags annually, these hunts book up quickly. Experience luxury accommodations and gourmet meals at the end of each day. Our experienced staff will make this an unforgettable hunt. Archery hunts are available with over the counter tags from August 30-September 30th. 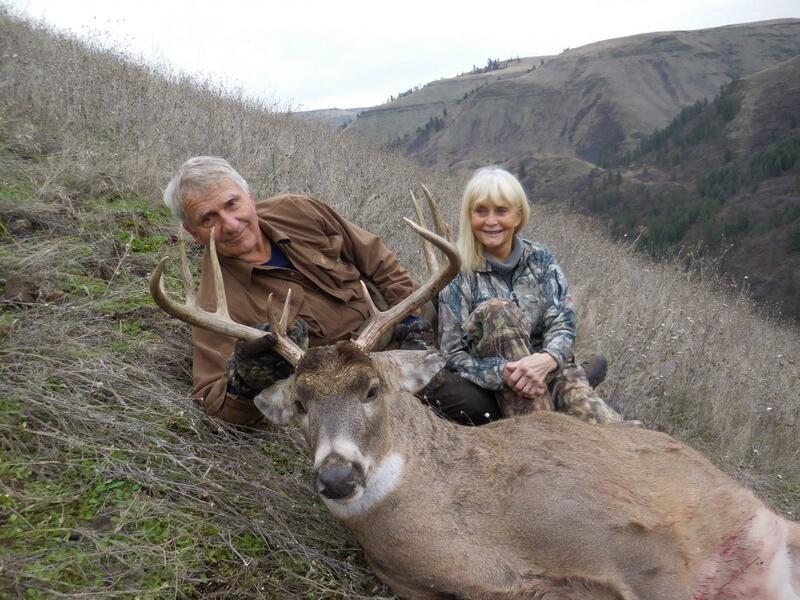 Archery hunts are also 5 days/ 6 nights at $3,500 for 2:1 guiding and $4,500 for 1:1 guiding. Ranch House accommodations have 3 bedrooms upstairs, with one being a master with en suite bath. Downstairs has 2 bedrooms and 1 bath. It also has walkout balonies/ patios with great canyon views, DirecTV and wireless internet. Our Guide, Jeremi was the main man! He is a great person and extraordinary guide. It felt like he was a long time friend and he did everything he could to make our hunt amazing.